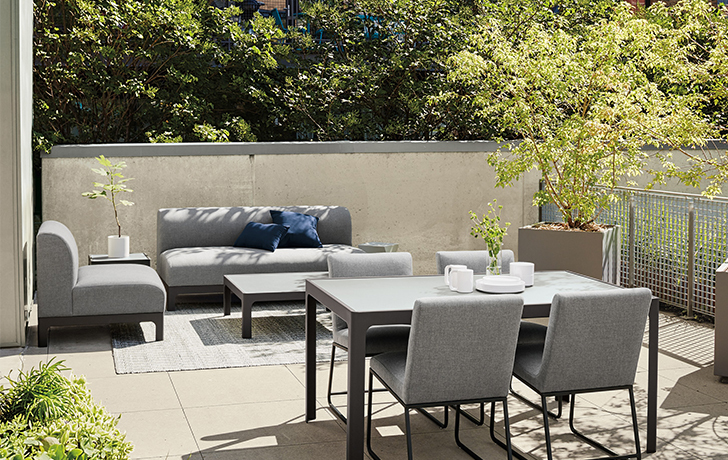 We all love to kick back under the sun al fresco but picking outdoor furniture can be overwhelming, especially if you have a small or oddly shaped area to work with. 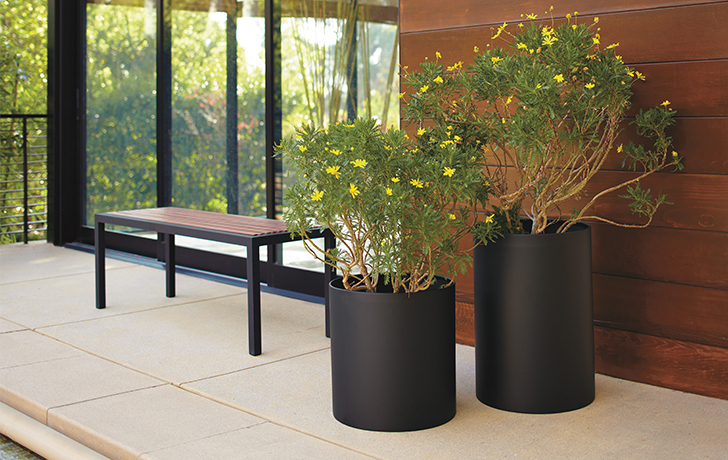 Here are a few tips on how to choose pieces for your outdoor space so you can take full advantage of the warm weather. You’ll need the dimensions to make a decision on what furnishings will fit the area. 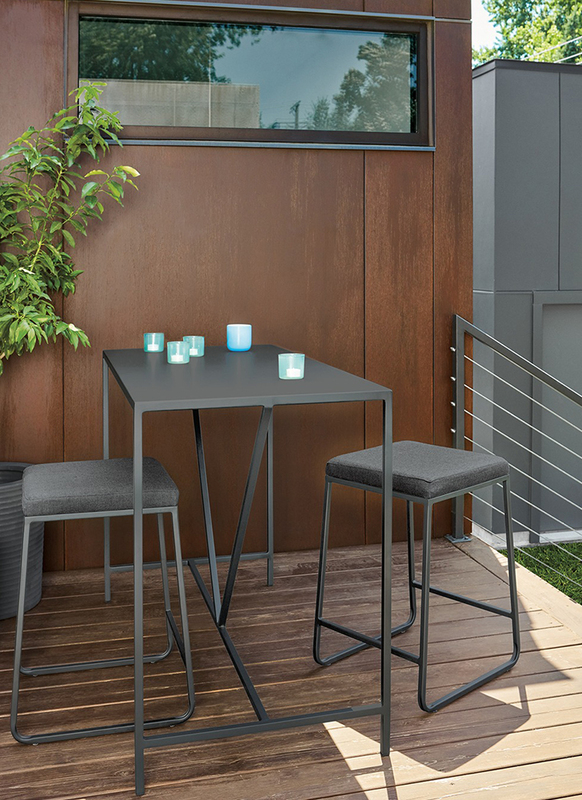 For a small space, a bar table and stools may work better because of their smaller footprint. 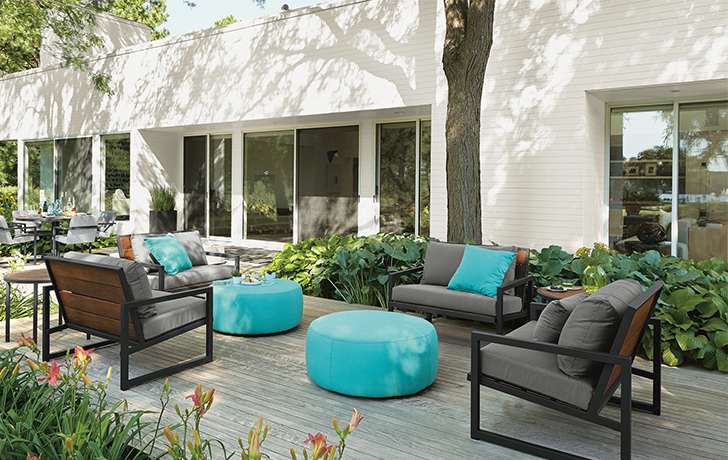 For a large backyard, you can create multiple zones for lounging, dining and entertaining. Defining the purpose of the space will help you narrow down what you’re looking for. Sometimes it’s as simple as a comfortable chair and a small table to enjoy your morning coffee while others are looking for an entertaining feel with a dining and lounge area. Invest in versatile pieces that can be moved around to serve different purposes depending on the day. For example, our Boyd ottoman can be used as extra seating for entertaining, as an end or coffee table to hold a snack while you lounge, or simply as an accent to add a splash of color to your space. The final step? 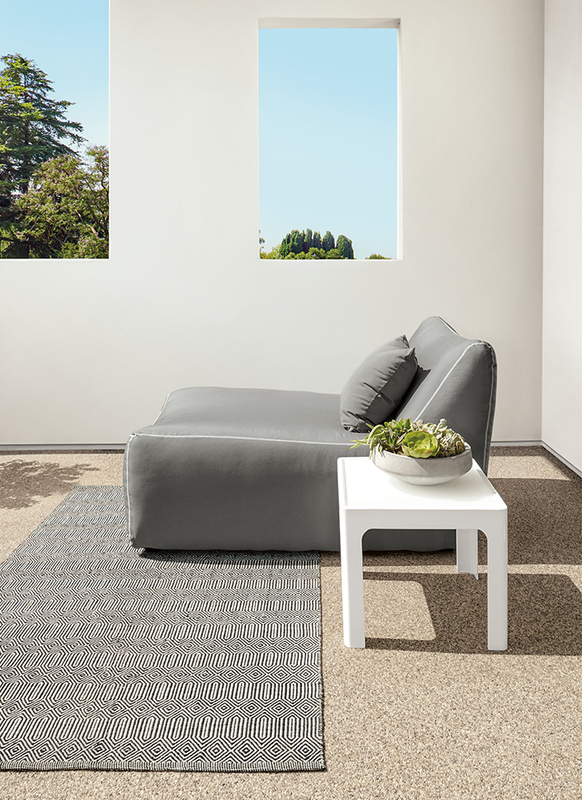 Make your space comfortable and inviting with outdoor home decor. 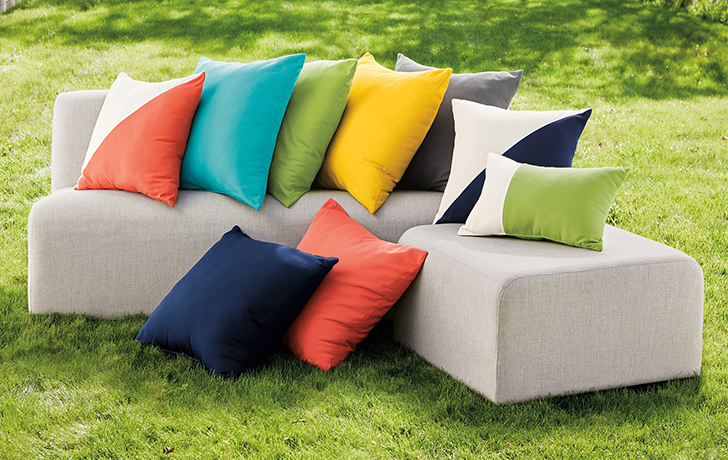 Complete your space with colorful outdoor throw pillows, planters and an all-weather rug! Good post, Well Written and simply executed to understand everything. Thanks for writing such a good Article writing on this Topic . Really impressed with your ways of article writing with this depth. Furniture specially carved wooden furniture is always in demand and people enjoy the items with style. Thanks for the write up Nicole, those are some wonderfully effective tips!